WebQuest – Birds! Birds! Birds! 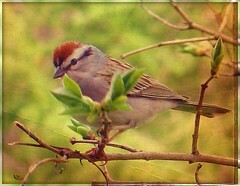 Now that Spring is here and Easter is around the corner, my class is learning about birds. Birds is kind of a radom subject. 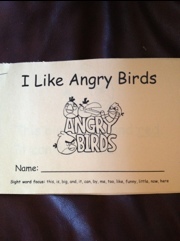 But I chose this because kids are so excited about Angry Birds these days. This is my way of meeting the students where they are at. This webquest is designed for students as a challenge activity for students who have mastered certain areas of the general curriculum. I have used webquests in the past, in place of a Math lesson (for 2-3 students who mastered that math skill presented in the lesson). 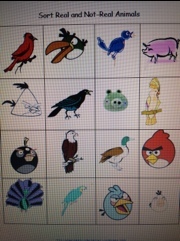 So, the rest of the class is learning the Math lesson and the small group of students are researching thier “birds” in the library and/or online using the attached webquest form. 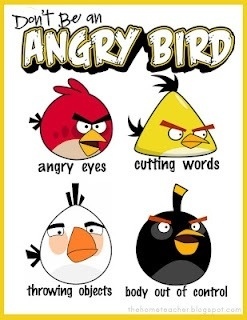 Seriously- we can learn alot from angry birds. I call it “meet the children where they are at”! 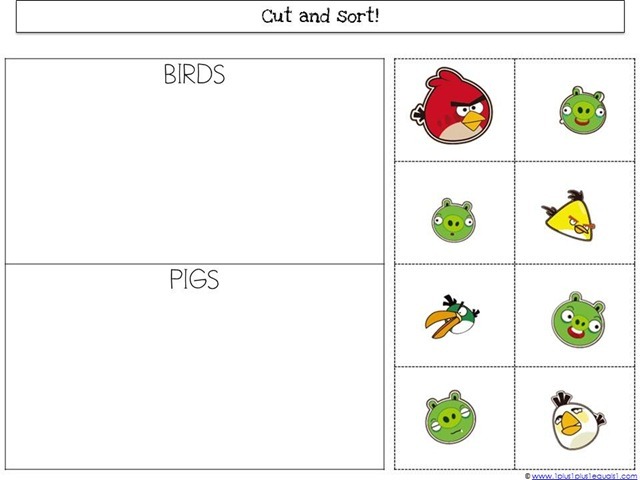 Those angry birds are cute, daring, imagninative and angry….just like some of our children. 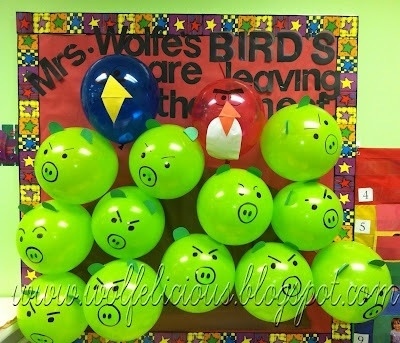 My four year old absolutely loves these birds, so I decided to search for inspiration and bring these fluffy balls into my classroom too! As Easter is fast approaching, I am sure to find a way to bring these birds and their eggs into the holiday theme somehow! Art Activity – Painting plates (idea found at squidoo) After painting these plates, have the children match the bird to the color word. Printables! An amazing and smart lady at 1+1+1 created these! 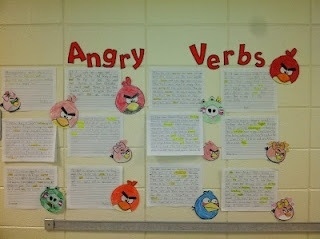 Angry Sight Words Sentence Mix-up and Re-build it Activity! 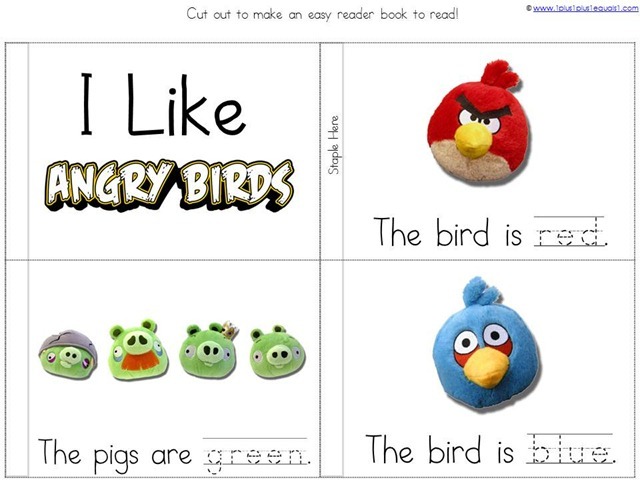 Take Home Sight Word Book-Here the kids color the birds according to the color sight word on each page. 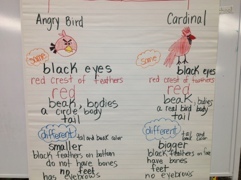 Comparing an Angry Bird to a Cardinal – Whole Group Activity: My class really enjoyed thinking about these birds and comparing them to each other. I have also created a Birds! Birds! Birds! WebQuest. Just click over to the WebQuest tab, to find it along with more information about WebQuests! 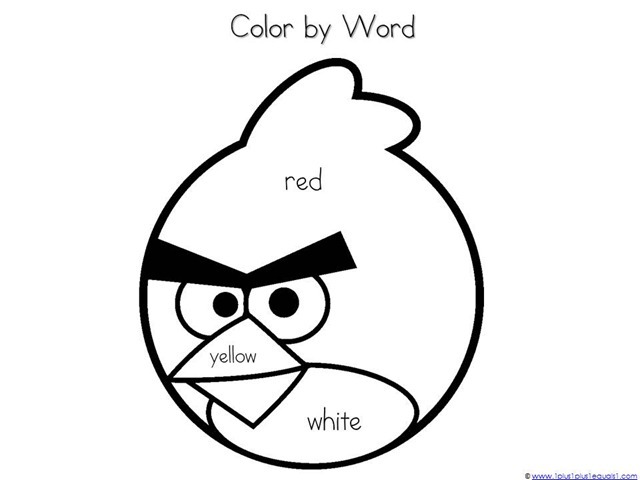 Are you smarter than an angry bird? The little red angry birds app. is more popular than t.v. at my home. My four year old has passed all the levels from the free trial version and he did this faster than I could! As an educator and mother of three, I refuse to believe that technology dulls our children’s brains. On the contrary, their higher order thinking skills are enhanced by apps. on the iPod and iPad, learning videos and games from educational websites such as www.starfall.com and www.brainpopjr.com. 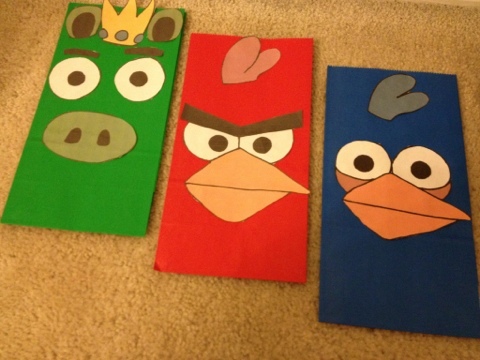 Now, getting back to our topic of angry birds…what could one possibly learn from these virtual stuffed flying puppets? First of all, I learned persistence. The average person will find it difficult to pass a level in just one try. For the first few days that I played, it took me five to ten attempts to move on to the next level. I admit that I could mad and quit for twenty minutes and decided that angry birds was just plain strange. Then, I kept trying with the side by side tutoring by my four year old…and then, I mastered the game! Lastly, the little red bird taught me that there is more than one way to solve a problem (knocking down monkeys and pigs with hats). If I aimed high, I would catapult too far and not hit my goal. However, if I aimed at the bottom, I could knock down many blocks and sticks and wipe out half of the green pigs. Each time I played, I became a better problem solver! So, if egg dropping birds can teach a thirty-two year old how to be more persistent and become a better problem solver, than what could it teach elementary students? Well, check out this image posted on facebook by a student from Pakistan. 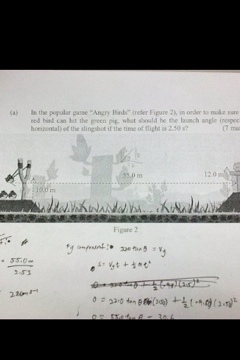 His teacher used angry birds during math class to teach several concepts. He met the students where they were at in their learning. In these students minds, they probably were thinking about angry bird strategies during math class instead of listening to a lecture. 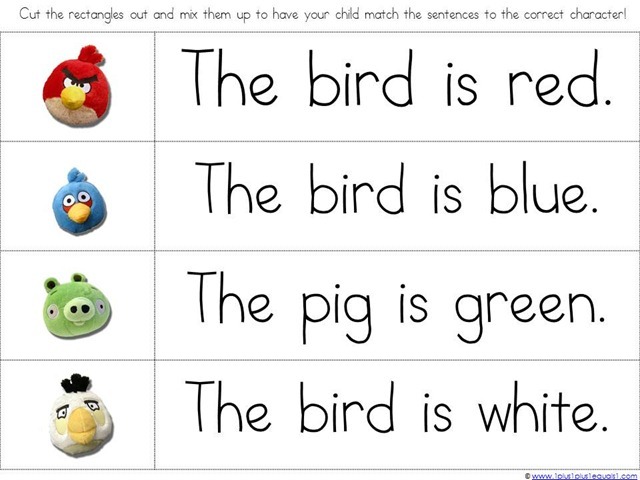 So, my friends, will you be as smart as an angry bird and meet kids where they are at to teach them? Will you allow an inanimate figure to teach you? 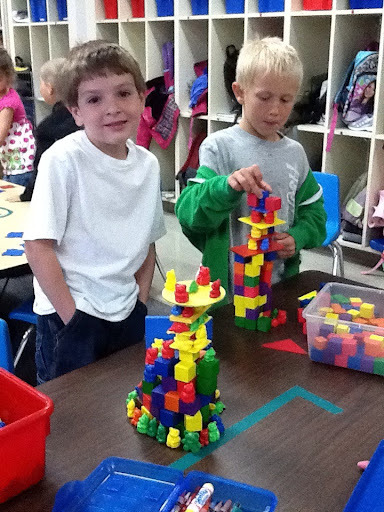 Gingerbread "No Cook" Play-dough fun!